I hate advertising and the horrible things it has done to the web. The theft of my bandwidth, memory, and CPU time is unacceptable. 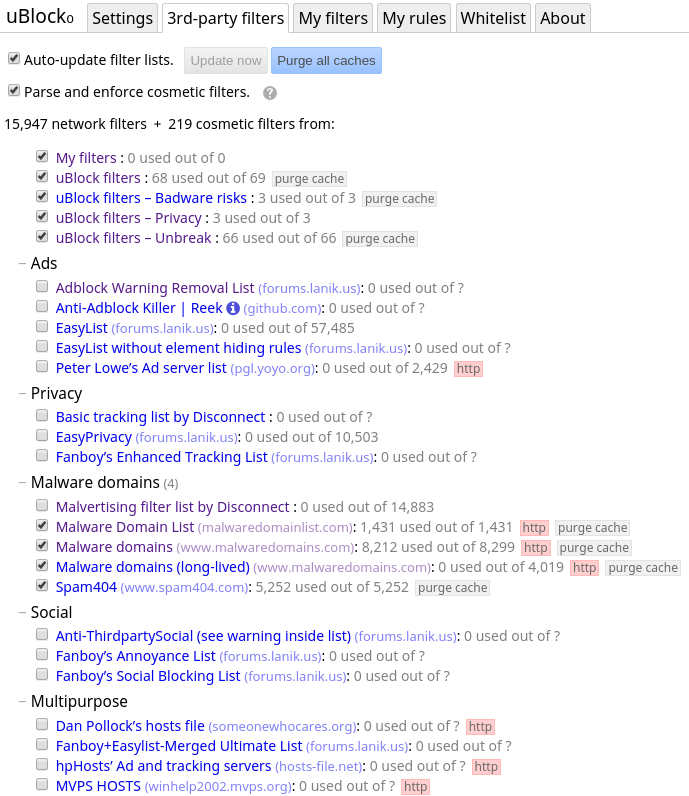 So, I built a blocklist to clean it up. It works great in µBlock0. 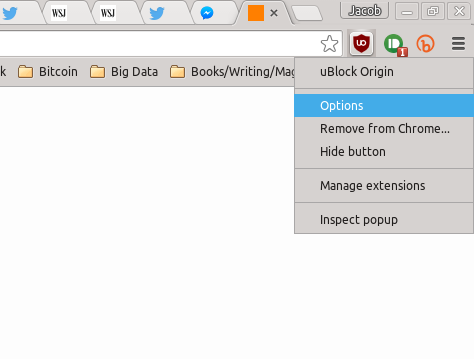 You can grab uBlock for Chrome, Firefox, or Opera. 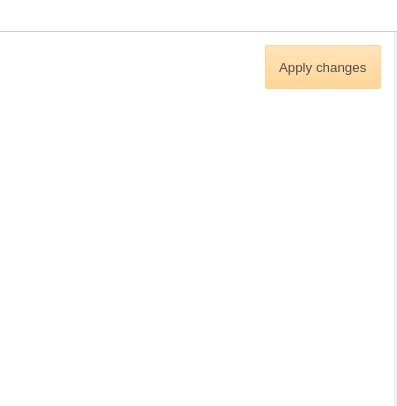 Click "3rd-party Filters" (at the top menu), scroll to the bottom, and paste the blocklist url in the "custom" area. Then hit "Parse". Then click apply, in the top-right corner. That's it! The list will auto-update. Please contact me if some site is horribly broken and I'll see if I can fix it. The list doesn't break sites for the most part, nor does it block absolutely everything. The intent is harm reduction, not absolute safety.